It's official. The Senate, by a vote of 86-13, has passed the $662 billion NDAA, which was passed by the House yesterday. The bill now goes to President Obama to sign, and his advisers are no longer recommending a veto over the detainee provisions. You can read the detainee provisions here. Yesterday, the House passed its version of the the 2012 National Defense Authorization Act (available here.) The roll call vote is here. The bill, which is a renewal of the 2001 authority for war, expands the authority world-wide. The bill passed by a vote of 322-96 and contains a $553 billion Pentagon base budget and $119 billion for overseas contingency operations. It also blocks federal criminal trials of suspected terrorists who are not U.S. citizens. An amendment to strike the worldwide war provision failed. Obama has promised to veto the bill due to the world-wide war authority provision. 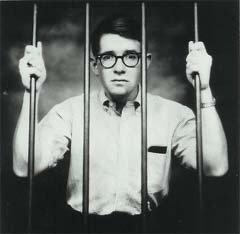 The provision would require the Pentagon inspector general to investigate instances in which there was “reasonable suspicion” that lawyers for detainees violated a Pentagon policy, generated “any material risk” to a member of the armed forces, violated a law under the inspector general’s exclusive jurisdiction, or otherwise “interfered with the operations” of the military prison at Guantánamo. The inspector general would be required to report back to Congress within 90 days after the provision became law about any steps the Pentagon had taken in response to such conduct by either civilian or military lawyers. "One of the very first things Al Qaeda in the Arabian Peninsula used as a tool was Gitmo," Gibbs said. "We're not going to make transfers to a country like Yemen that they're not capable of handling (the detainees). While we remain committed to closing the detention facility, the determination has been made that right now any additional transfers to Yemen is not a good idea." The Wall St. Journal reports today that President Obama may be considering a big change in the way the U.S. interrogates high-value detainees. The Obama administration is considering overhauling the way terror suspects are interrogated by creating a small team of professionals drawn from across the government, according to people familiar with a proposal that will be submitted to the White House. Props to Palau, for tentatively agreeing to take up to 13 of the Chinese Uighur muslims from Guantanamo. 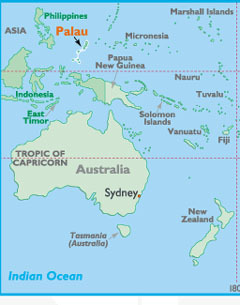 It is one of the world's smallest countries, with about 20,000 people scattered over islands of lush tropical jungle. Most work in tourism, construction and farming. I can't believe people are even debating this. Our system of justice and the principles this country was founded upon do not allow the Government to hold people indefinitely without the filing of criminal charges. If they did something illegal, charge them and try them. If they are acquitted, release them. As Big Tent Democrat and the New York Times noted, Marcy Wheeler of Empty Wheel broke the story of the number of times the C.I.A. used waterboarding on Khalid Sheikh Mohammed and Abu Zubaydah. Mohammed was waterboarded 183 times in a month. That's an average of 6 times a day. The C.I.A. 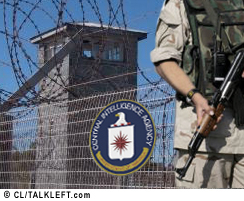 today announced the closure of overseas CIA prisons for detainees. Private contractors will no longer be involved in interrogating prisoners. The C.I.A. has never revealed the location of its overseas facilities, but intelligence officials, aviation records and news reports have placed them in Afghanistan, Thailand, Poland, Romania and Jordan, among other countries. 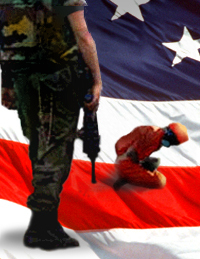 A February, 2007 Red Cross report on the treatment of the 14 high-value detainees held in secret CIA prisons before being transferred to Guantanamo has been released. It's available here (pdf). The report in encrypted so I can't cut and paste excerpts, but the Washington Post has this description of its findings. Medical officers who oversaw interrogations of terrorism suspects in CIA secret prisons committed gross violations of medical ethics and in some cases essentially participated in torture, according a confidential report by the International Committee of the Red Cross. Today Seton Hall Law delivered a report establishing that military officials at the highest levels were aware of the abusive interrogation techniques employed at the detention camp at Guantánamo Bay (GTMO), and misled Congress during testimony. In addition, FBI personnel reported that the information obtained from inhumane interrogations was unreliable. The Obama Administration has blown its first chance to signal change from the Bush Administration in the treatment of detainees. In another Guantanamo case, the Justice Department argues in a brief (pdf)that the U.S. has the right to indefinitely hold detainees. The Attorney General's press release is here. As a smokescreen, the DOJ doesn't use the word "enemy combatent." No one's buying that by not using the term, Obama's taking a different position from Bush.